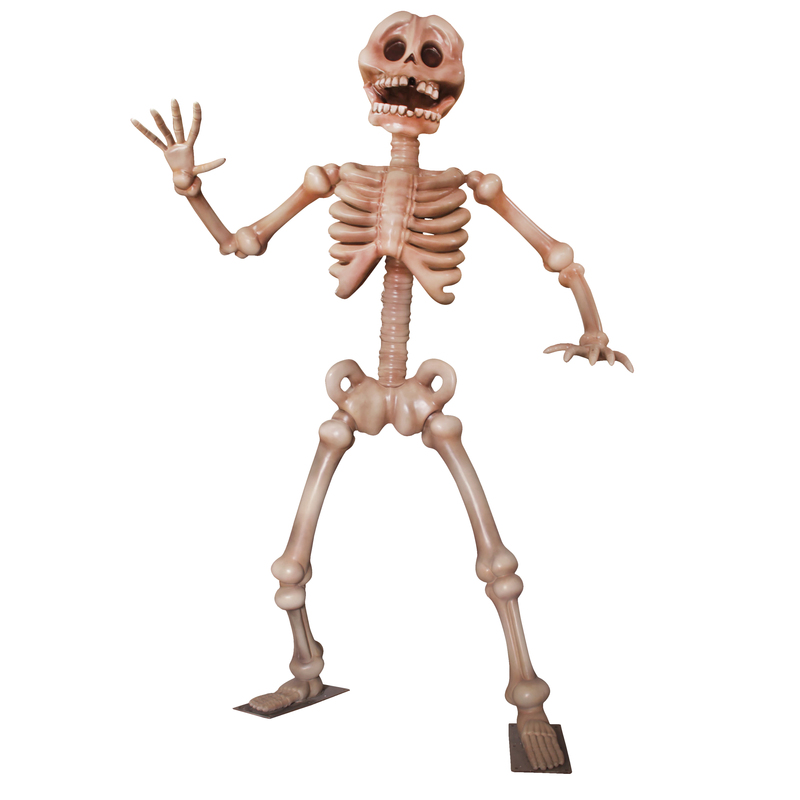 No bones about it this a 11.5' standing skeleton.He is screaming a big hello! His mouth is open and missing a fron tooth, one arm is in waving postion the other on od palms down off to the side. He would be a great addition to any Halloween venue. He is made of polyresin and can be used indoor or outdoor.